The tape bonds instantly and strongly to most paper, foil, film, metal, printed surfaces, glass and sealed wood. 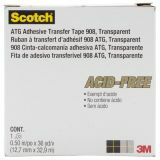 Scotch ATG Gold Transfer Tape - 3M-Scotch ATG Transfer Tape. This tape bonds most paper, foil, film, metal, printed surfaces, glass, and sealed wood, making it ideal for matting and framing pictures, artwork, and documents, memory and scrapbooks, general crafts, and school projects. Surface must be dry and clean. Bonds instantly and strongly. Acid-Free. 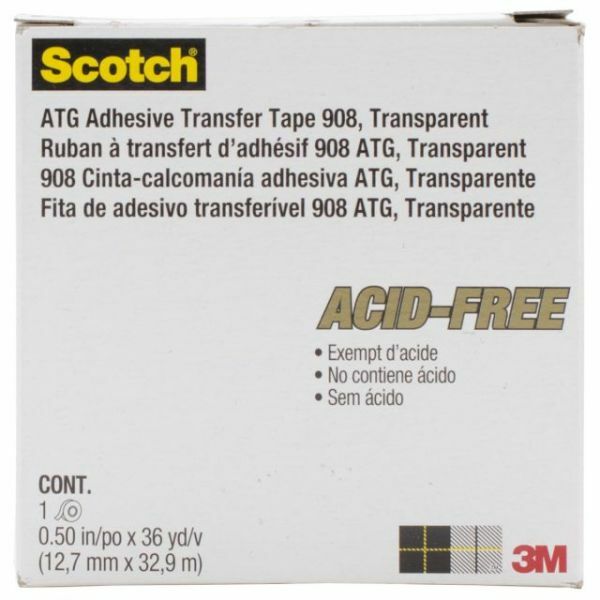 For use in the Scotch ATG 700 Adhesive Applicator only. This package contains one 36 yard roll of 1/2 inch wide tape. Made in USA.